BioInnovatioDays 2018 was held on 27-28 April in Tartu, Estonia. 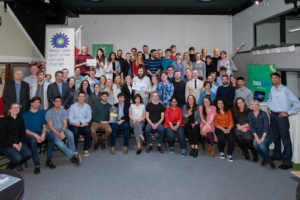 The event brought together 98 participants including students, researchers, start-ups, mentors and speakers from Estonia, Latvia, Finland, Sweden, Greece, Italy, Slovakia, the Netherlands and Norway. 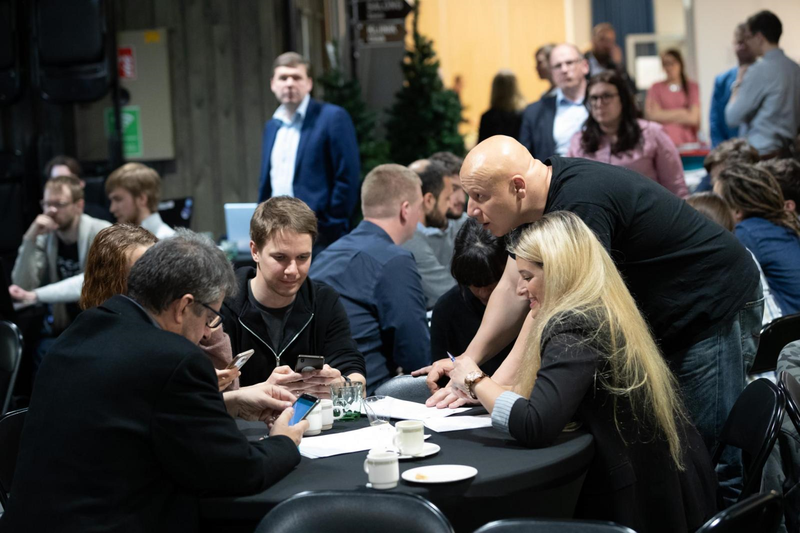 The event was organised as a joint collaboration between EstLat BioBoost, BIOWAYS, EIT Health CAMPUS and ACCELERATOR, and ePerMed projects, Tartu Biotechnology Park, University of Tartu and many ohter organisations. During the hackathon 8 teams were formed and 8 ideas in the fields of bioeconomy and biomedicine developed during these 2 days with the help of mentors. 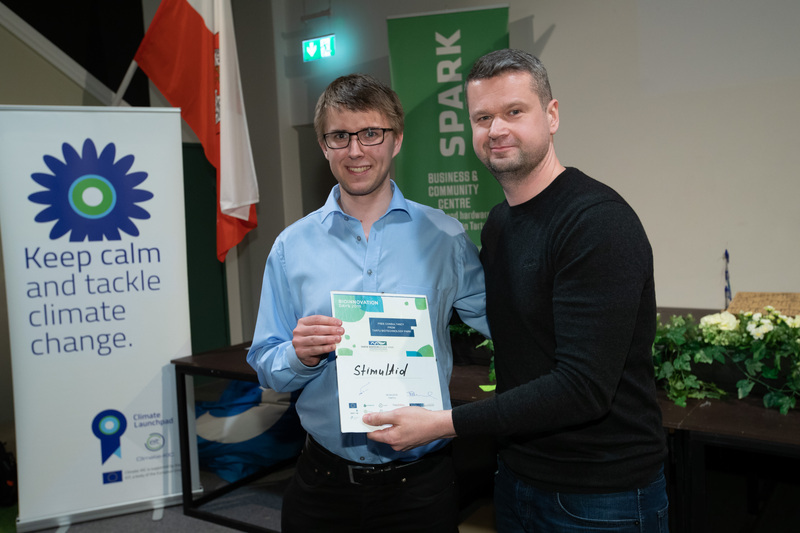 Team StimulAid, aiming to develop a medical neurostimulator to help Parkinson’s patients improve their balance and mobility, was awarded with EIT-Health Summer school travel grant in the value of 2500 EUR and Free consultancy from Tartu Biotechnology Science park. 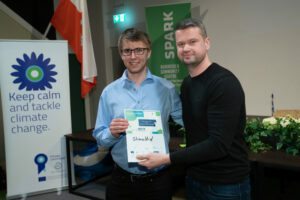 Team MediKeep, developing a personalized medicine app to help people make more individualized health related decisions (e.g about drugs, nutrition, lifestyle and prevention suggestions) based on their genomic data, was also awarded with EIT-Health Summer school travel grant in the value of 2500 EUR. 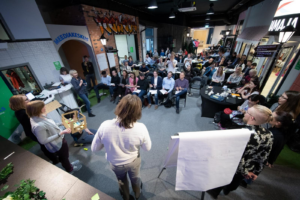 Team Urban Vertical Farming, aiming to take empty apartement buildings in rural regions into use for growing agricultural products indoors using the newest technologies available got ERASMUS for Young Entrepreneurs scolarship in the value of 3300 EUR. 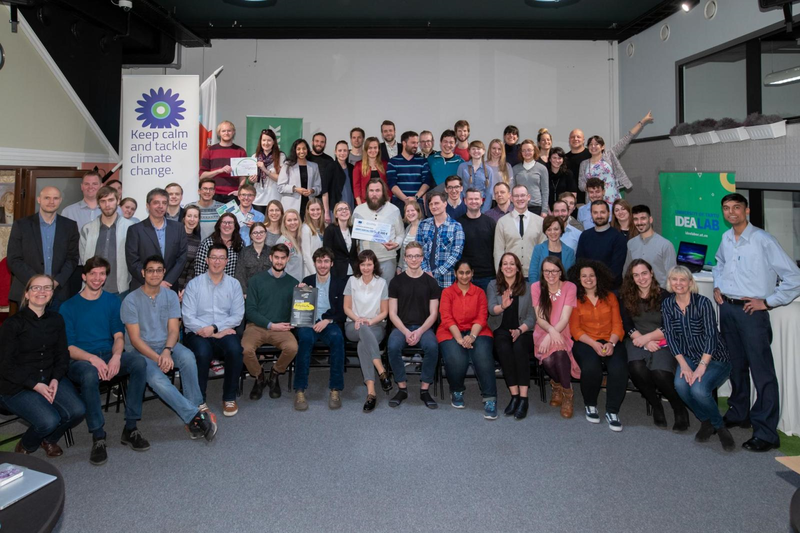 Team Milky Waste, developing a user friendly and customizable equipment to the dairy companies, which can use it directly to produce biomethane and other valuable substances from the wastewaters of the dairy industry processes, got tickets to the sTARTUp Day 2019. And finally a special award, which is all-expenses paid trip to Japan to attend the NELIS Global Summit, was awarded to Lea Urpa from University of Helsingi and from team Urban Vertical Farming, who demonstrated exceptional leadership skills during the event.